Port Melbourne Uniting Church have kindly agreed to me printing their application (below) so that other churches involved in the program can learn from their example. The congregation at Port Melbourne Uniting Church is a diverse group of people who live and work in and around the City of Port Phillip. During the past few years there has been increasing interest amongst members of the congregation to look at our effect on the environment and how we use resources. We have been moved to consider how we as a Christian community should respond to the call to be stewards of the earth and good neighbours. In July 2007 we began an EcoProject to examine our own use of resources and develop a program that will help our community become more sustainable. - Develop contacts with other groups in our community who are also tackling issues of sustainability. The congregation received a seeding grant which was used to engage a Project worker, Janet Hoare, for five hours per week. A Task Group of congregation members and chaired by Rev Peter Greenwood was also formed to oversee the development of the project. A walk-through audit of the church, hall and kindergarten took place in September 2007. Joel Meadows from City of Port Phillip looked at the building and made some recommendations about improving energy efficiency. The table of comments is attached (Attachment 1). Energy and water use over an 18 month period was measured, based on gas, electricity and water bills for the church and kindergarten. The report of the results is attached (Attachment 2). 3. The fridge in the church kitchen was only being used to store a very small amount of perishables, so it was turned off. Now it is only turned on when there is a need for it (eg for catering for special occasions). Milk for morning tea is kept in a cooler bag if the weather is warm. 4. Lights in the church were replaced with more energy efficient globes where possible. Some could not be replaced as alternative globes are not yet available for the fittings. Recycling: A worm farm was purchased to be shared between the church and the kindergarten. The worm farm is kept in the kindergarten yard and supplied with the children’s food scraps during term time. Church members keep an eye on the worms during holidays. A new recycling system was set up in the church kitchen with separate containers for food scraps, recyclables and rubbish. Bike racks – a request was made to the local council to install bike racks on the street outside the church to encourage church members and kindergarten families to ride. This was installed in November 2007. More people ride their bikes now they have somewhere they can safely put them when they arrive. “Storm”, one of the artworks used during the Season of CreationA number of our church services have had an environmental theme or have included reference to the environment. During September 2007 (and again in 2008) we participated in the Season of Creation. The church decoration for these services reflected the theme each week. The first Season of Creation came soon after the launch of the Eco Project where a net had been set up to lower the church ceiling and hold black balloons which had been part of the launch. Storm clouds and other features were hung from the net on appropriate Sundays. An artist from the congregation also painted a scene for each service. Eco Notes in “News & Notes”, the church newsletter. The Eco Notes ranged from information about practical issues such as grey water systems, energy efficiency rebates and composting to notes about Synod “green” resolutions and the effects of climate change on vulnerable communities. A Sharing Board and “Green Balloon Book” where congregation members were encouraged to share items of interest about environmental issues and record their personal actions. Some examples from the Green Balloon Book include: taking a rubbish bag on morning walks along the foreshore, planting vegetable gardens, and switching to renewable energy. See Attachment 4 for sample Eco Notes and examples from the Green Balloon Book. The Port Melbourne Eco Project Launch in August 2007 was a public event with guest speakers Cath James, Uniting Church Environment Project Officer and Janet Bolitho, then Mayor of the City of Port Phillip and strong supporter of environmental sustainability. In 2008 the congregation hosted a Winter Forum with the theme “Think Local, Act Local”. Four speakers who are actively involved in our local community gave presentations on topics including community food gardens, City of Port Phillip Community Climate Plan, the 7-Star house project in South Melbourne and Locals Into Victoria’s Environment, based in Albert Park. A summary of the forum, written for the South Port Uniting Church magazine, “Spparks”, Christmas 2008 issue is attached (Attachment 5). o Responding to a need for better access to fresh food by members of our community – especially those who come to South Port UnitingCare seeking emergency food relief; providing a place where people can come and learn together to grow and use fresh food. o Growing community and reaching out to our neighbours through a shared love of gardening – and enabling people to share their gardening skills and learn from each other. Building the garden has brought us into contact with a whole range of people in our community who we would otherwise not have met. o Responding to God’s world – increasing our awareness of its complexities, our understanding of how we might be called to care for it and responding to God’s love for us by sharing with our community. o It is also a project that brings people of all ages and backgrounds together – both within the congregation and the wider community. The garden was funded by a Community Grant from the City of Port Phillip and built in a series of community working bees during October 2008. The garden design and supervision of the working bees was provided by the gardening team at the Port Phillip EcoCentre. Thirty nine people participated in the working bees to help build the garden and others have since come along to help work in the garden. Planning for the garden began in February 2008; the first vegetables were harvested in December 2008. Large windows with paving outside allows sun in – bounces off paving into room where heats mass from church wall and make the room hot. Use fans at slow speed to force heat back down from ceiling in winter. Large open space with huge ceiling area. Heat will be lost up here and too large a space for ceiling fans to be effective in pushing heat down in winter. Also heat loss through pressed tin ceiling; not much can do about these. Check current fluorescents to see if have electronic ballasts; clean covers. Get electrician to check all lights and replace where needed; lights with dimmers need special globes (look at usage of dimmers to see if can reduce number of lights on dimmer switches. Environment Shop (Northcote) or Beacon Lighting might have specialist globes we need. EEP room need to protect the north wall as it absorbs heat and then radiates it into room – suggest pergola and deciduous vine as for hall; Probably too many lights – don’t need to use halogen downlights. Should be able to reduce energy use by 25% - savings should cover extra cost of Green Power. Look at putting in a cross-over at front of church to reduce area needed for path on side – Council more likely to agree if can offset loss of parking by taking out a cross-over on the side. 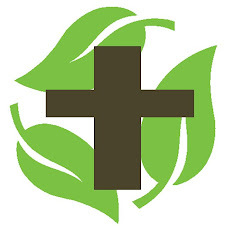 The Port Melbourne congregation began its Eco Project “Inner Urban Environmental Sustainability and Stewardship” in July 2007. Part of the process of moving towards a more sustainable community was to examine the current use of energy and water within the church site, including the kindergarten. This involved: examining past records (energy and water bills) and a walk through of the buildings and grounds with an energy efficiency expert. Gas, electricity bills and water bills from January 2006 to July 2007 were examined. There was a consistent pattern of use of the church and kindergarten buildings during those 18 months so the trends in energy and water usage were due mainly to seasonal factors rather than increased or decreased use of the buildings. Church use of electricity is mainly for lighting, PA system, fridge and fans for the heaters while the kindergarten uses electricity for some heating and office equipment (computer, photocopier) as well as lighting and fridge. The kindergarten has a greater electricity consumption due to longer hours of occupancy. There is clear seasonal fluctuation (Figure 1) with more heating and lighting used in the colder, darker months and less over the summer. A shorter billing period would show a greater dip over summer when the kindergarten is not in use for 5-6 weeks. There is also a clear seasonal fluctuation in gas use. Gas is used mainly for heating with a small amount for hot water in both the kindergarten and the church. The dip in the kindergarten curve in October 2006 (Figure 2) is due to an estimated bill with the November actual bill probably including gas used in September-October. Although the kindergarten is occupied for a longer period the heating is deliberately not turned up high whereas the large area of the church requires considerable heating to be at a comfortable temperature during winter. Figure 2. Daily gas use, church and kindergarten, February 2006 – June 2007. Water usage is fairly constant throughout the year (Figure 3). The difference between the highest and lowest average daily figures is 39 l/day (or about four buckets full). For the period measured the water meter was shared between the church and kindergarten and half the water use attributed to each. The main use of water is for toilets, with some for hand and dish washing, kindergarten water activities and gardens. Water restrictions introduced progressively during this period resulted in the church garden water feature bring turned off and very little water used on the garden beds. We worship this Sunday with the storm. We sing with the winds, the clouds and the thunder. We feel the awesome presence of a hurricane. We connect with the stillness before the storm, the fury of the winds and the aftermath of a cyclone. We celebrate God’s presence in the storm. and the name of the Spirit, present is the winds of the storm. Amen. Earth is filled with God’s presence. we enter your presence even in the storm. Storm refers to the world of the weather, the gales, the lighting, the winds, the cyclones, the hurricanes, the downpours and the flash floods outback. Storm means both nature in the raw and the weather we need to renew our planet. Storms may be events that frighten us, but they are also events that we celebrate in the weather cycle that sustains Earth as a living planet. Tell us Leighton about a Storm experience you have had. Well, what is the point of a storm? To frighten people? To blow trees down? NO! The storm is to bring rain, to make the grass grow and the trees and the crops. God does not pour rain down from heaven in a bucket!!! Sometimes God sends a big storm to make you think. What? To say, ‘Thank you God for the rain’. Prayer: Thank you God for sending storms to make us see just how important rain is for us, for the animals and everything on planet Earth. Amen. Where can wisdom be found? According to the poet in Job, God discovered wisdom imbedded in nature, even in the elements of the weather, when God was creating the cosmos. According to Paul, the wise in the world cannot grasp the message of Christ crucified. Ultimately the crucified one is also the source of life and the Wisdom of God. We are aware that global warming has changed weather patterns around the world. Some climate skeptics argue that global warming is not happening. But here is irrefutable proof! Slide (thanks to PB!) Storms ARE on the increase. The Gospels speak of Jesus controlling a storm that terrifies the disciples. How did he do it? Well many professors and bishops are also climate skeptics so it’s popular for many to suggest that the story is simply an allegory and it never happened. Or they suggest that it was just the Lord’s excellent timing that the storm stopped !! However, our focus on the seasons of creation and the biblical texts on STORM in the Old Testament encourage us to venture down another path. It’s possible to understand this as supernatural miracle in the light of the WISDOM theme. This is to argue that Jesus is not so much demonstrating an extraordinary power play like STORM in the X-men, but rather he is connecting with the wisdom in the storm, the inner impulse that governs the storm. We can see, that according to the scriptures, the power of the storm is derived not from a god of thunder and rain, like Thor, but through wisdom by which God the Creator spoke and brought the whole cosmos into being. Wisdom is at the heart of life and is the pulse of all life. Now according to the eye-witness accounts, it was this man Jesus Christ, who in fact, was this wisdom of God in the flesh. He is the true and pure Logos, the very Wisdom of God! Does he care that we are perishing? Treat it lightly. If he wants to still the storm he will. What’s a little martyrdom here or there? This story is a call to the community—to us, I’m afraid—to make up in faith what Jesus’ first disciples lacked. To stay there in the storm no matter how strong the urge is to run. Friends, when we find ourselves in that smoggy, gasping, struggling place asking that panicky question of God, ‘ Don’t you care that we are perishing?’ we might also listen for another voice, the voice of the rivers, the glaciers, the oceans, the ozone, also asking tenderly yet angrily, “Don’t you care that we are perishing?” Not asking God … but asking me. Don’t I care? Do I care enough to enter the storm and care for the earth? And do I care enough to stay where the poor of the earth are suffering when all I want to do is quit? Do I care enough to be where Jesus is and see it through like him? Do I care enough to be his disciple? Do you want to care? L If so, then let us affirm our faith together. Storms are on the increase. Yet, Jesus Christ, surrounded by many fierce forces at the last supper and on the cross, is present also in the stillness after the storm. He knows the way of the storm. and the pulsing of Christ within you. Go in peace! Serving Christ and loving Earth! P We go in peace, serving Christ and loving our home. This week is Keep Australia Beautiful Week. This is a chance for us to look at the waste we generate and where it goes. At the launch of the Eco Project on Friday night we got creative with hard rubbish to build a sculpture. We also introduced our new recycling system. We now have a separate bin for recyclables (paper, glass, etc), a bucket for food scraps that will go to our worm farm (food scraps from the kindergarten will also feed the worms) and a bag for collecting clean plastic bags to be re-used for emergency relief or the Goodwill Shop. Clean office paper with a blank side, cardboard rolls (not toilet rolls) and small boxes are also collected for use by the kindergarten. By re-using and recycling we aim to reduce the amount of rubbish going to landfill. Do you have insulation in your ceiling? Insulation can significantly reduce your energy bills by reducing heat loss during winter by up to 40% and heat gain during summer by 30%. This month the Victorian Government has introduced an insulation rebate scheme which can offset the cost of installing insulation. If you live in a house built before 1991 which has never had ceiling insulation you may be eligible for the rebate. For more information about the Insulation Rebate go to http://www.sustainability.vic.gov.au/ or phone the hotline on 1300 366 195. Last week’s EcoNote was about protecting habitat for biodiversity – but what is biodiversity and why is it important? The habitat of a plant or animal is made up of many different plants and animals which have adapted to that particular climate, soil type, altitude, fire regime. The number of different plants, animals, insects and soil organisms which live in that habitat is its biodiversity. The greater the number of different species living together the healthier the habitat is, the more likely it is that everything is living in harmony and the greater the chance that the habitat will be able to adapt to change over time. The problem now is that habitats are changing at a far greater rate that in the past, particularly due to human activity. Some species can adapt quickly but others can’t change and are lost. The plants and animals which depend on them then become threatened and so on in a domino effect. Once they are lost they cannot be brought back so it is vitally important that we conserve what we have now. A simple way to reduce your household water use is to install a low flow (AAA rated) showerhead. These have a flow rate of 9 litres per minute compared to 22 l/min for a standard showerhead. They are designed to have a similar water pressure to the standard fitting. If you are a resident of the City of Port Phillip you can participate in the free Showerhead Exchange Program. All you need to do is take your old showerhead and your South East Water bill to one of the exchange points during their opening hours and you will receive a new AAA rated showerhead in return for the old one. The exchange points are at the town halls in Port Melbourne, South Melbourne and St Kilda, the libraries at Albert Park and St Kilda and the Port Phillip EcoCentre (cnr Blessington & Herbert Sts, St Kilda). Other municipalities have similar schemes so if you live outside Port Phillip please check with your local Council. Two terms you may have heard used are “Food Security” and “Food Miles”. Food Security is having enough healthy food to eat. This is already a problem for many in our community and is likely to become a greater issue as food becomes more expensive. Food Miles is the term for the distance traveled by our food from the place it is grown to the place it is eaten. For some of our food this is many thousands of kilometres. We can improve food security and reduce our impact on greenhouse emissions by eating food that is grown locally – including from our own gardens (however large or small) - and eating food that is in season here rather than imported from the other side of the world. South Port Uniting Church has been invited to be part of a new Food Security Network in the City of Port Phillip. The Network had its first meeting at the end of November and is made up of individuals and groups who have a vision that everyone in the City of Port Phillip will have access to affordable quality fresh food. Part of this vision is turn the City of Port Phillip into a giant community garden. Working groups are being set up to turn this vision into a reality. Our Eco Project, now called the Simply Living Project, has developed to explore how we can live more sustainably and equitably in God’s world. One of our responses has been to develop the community garden but we also want to continue to explore and engage with our community about the wide range of topics that come under the “sustainability” umbrella. In August we hosted a forum with four guest speakers who are active in our local community: Wendy van Dort from Port Phillip Eco Centre and the Port Phillip Urban Fresh Food Network (PPUFFN), Julian Donlen, Sustainability Education Officer from the City of Port Phillip, David Robinson, 7-Star House Project and Debra Hart, Locals Into Victoria’s Environment (LIVE). Why “Think Local, Act Local”? Much of what we as individuals can do to live more sustainably means thinking again about how we operate at a local level. We have heard the “Think Global, Act Local” message, that what we do at a local level will always have an impact on the bigger picture. But acting at a local level means thinking more about just what it is possible to do here and now. The forum was a chance to find out what people in our community are doing that can make a difference – to expand our thinking about what is possible literally in our own backyard or back room. Wendy van Dort is one of the coordinators of the Port Phillip Urban Fresh Food Network (PPUFFN). The aim of PPUFFN is to increase fresh food production within the City of Port Phillip. This is done through community gardens, school gardens, gardens in rooming houses and by encouraging people to grow more of their own food at home. · to improve the food security of residents. Food security is defined as “The state in which all persons obtain nutritionally adequate, culturally acceptable, safe foods regularly through local non-emergency sources”. · To reduce greenhouse gas emissions. Currently 28.3% of household greenhouse gas emissions is from food, including production, transportation. Food waste sent to landfill is responsible for the emission of methane, a more potent greenhouse gas than carbon dioxide. Wendy gave examples of various community gardens and highlighted their other benefits. One was the St Kilda Youth Service garden which has been re-invigorated by the young people working together to build a chicken shed. Julian Donlen provided an overview of the many ways in which the City of Port Phillip is working towards a more environmentally sustainable city and the various programs that support residents. The City aims by 2020 to have zero net greenhouse gas emissions and a 70% decrease in potable water use by Council operations. As Council operations represent only 1% of the emissions and water use of the whole city, Council also aims to help residents and businesses reduce per capita greenhouse gas emissions by 50% by 2020 and to reduce water use by 50% by 2020. The Community Climate Action Plan 2008-9 targets households and businesses through a range of programs including: Sustainable Living At Home (SLAH), Challenge 2 Change, Climate Challenge 1000, Building Tune up and VIC1000 for businesses, showerhead exchanges and various Enviro Events. David Robinson spoke about the 7-star house program which he has helped set up in Albert Park. The motivation behind the 7-star house program was the number of major renovations happening locally which are high energy users and will be for the next fifty years or more. The project is aimed at the people who build extensive and expensive renovations to show that sustainable buildings can also look good. A house being renovated in Moubray St. is the model for the program. It is a terrace house, typical of this area. David is taking photos before and during the process to show on a web site. The web site will show the progress of the renovation plus a step by step “How to” find an architect, and so on. Debra Hart is the founder of Locals Into Victoria’s Environment, a grass roots lobby group which has made some high impact statements, such as the “Climate Emergency” rally and human sign in the Alexandra Gardens and the Mother’s Day 2008 rally at Federation Square. LIVE works by talking to politicians—asking questions and asking for responses. There is also a LIVE website which acts as a portal to other sites, such as Green Energy Watch and has copies of submissions made by LIVE to various government inquiries and panels. Debra spoke about her motivation to begin LIVE in response to a government decision to expand the Hazelwood Power Station, one of the dirtiest coal burning power stations and the projected effects of climate change on the Great Barrier Reef. The evening ended with a panel discussion and audience questions which covered a range of issues brought up during the presentations. Overall it was an informative and entertaining evening and much appreciated by the audience.